If you use a wood burner or open fire in a Smoke Control Area it is important to know the rules. All larger towns and cities have Smoke Control Areas, often called “Smokeless zones”. 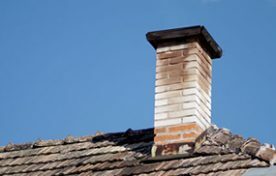 If you use a woodburner or open fire in a Smoke Control Area it is important to know the rules or you may unknowingly be committing an offence. You can check if your property is in a Smoke Control Area by contacting environmental services at your local council. Many councils will have this information on their websites. Our schools, homes, recreational areas and our workplaces are often within a Smoke Control Area. If you use a woodburner or open fire in a Smoke Control Area, there are some important rules to keep us all safer. Any fuel burned on an open fire in a Smoke Control Area must be an “authorised fuel”. This is because you are only allowed to burn smokeless coals or anthracite. You will be committing an offence if you burn wood logs, wood products or normal “house coal”. You are however still allowed to start the fire with small wood kindling etc. Not only is it an offence to burn unauthorised fuels, but you’ll be introducing a large amount of damaging pollution in to your local neighbourhood. If we ignore these rules, it’s bad news for air quality. Exempted appliances are designed to burn the fuel more efficiently and so reduce potential air pollution. Even so, they do vary a lot from one make to another so it’s very important to follow the guidelines here, in the “How can I get it right”section. Exempted appliances require you to use specified fuel(s) and they need to be operated in accordance with the instruction and installation manuals and when any other conditions are met. Exempted multi-fuel stoves can usually burn authorised (smokeless) fuel or wood logs / authorised wood based products with a low moisture content. HAVE YOU HAVE MOVED TO A HOUSE IN A SMOKE CONTROLLED AREA? If there is a woodburning stove you should check the documentation to make sure it is an exempt appliance or seek professional advice. Please share this information with everyone you know who uses a woodburning stove or open fire.